Rhode Island is indeed the smallest state in the Union. This fact alone makes it difficult for the state to compete in some industries, gambling being one of them. Rhode Island faces stiff competition from neighboring states that offer legal gambling which have invested generously into creating a thriving gambling entertainment industry that is attractive to players. Connecticut offers two impressive casino resort properties and Pennsylvania has one under construction as of this writing. This places pressure on Rhode Island to also deliver when it comes to betting entertainment or see all that revenue go to neighboring states that do step up to the plate. Gamblers in Rhode Island will be best served with a clear and concise understanding of the legalities concerning gambling in their state. This is the prime objective of our resource guide. In addition, we provide access to information about legally sanctioned destinations at which to enjoy gambling entertainment. We are in hopes that this data will benefit players seeking to make informed decisions regarding their participation in gambling entertainment, and the legal options that are available. This guide is not designed to substitute for professional legal services or advice. If you are seeking professional legal advice concerning gambling, we recommend that you speak to a licensed attorney. Is Online Gambling Legal In Rhode Island? Laws And Statutes To Consider. Like most states, Rhode Island doesn’t address online gambling in their state laws and statutes. This being the case, it is not legal for anyone to own or operate an online gambling site of any type in Rhode Island. It also means that it is not illegal for anyone in RI to participate in online gambling that is provided by a legally licensed and regulated destination that is located outside of the Untied States. This is great news for residents of Rhode Island seeking legally sanctioned online gambling that is not in violation of state or federal laws. The gambling sites you see recommended on this page are all legally licensed and regulated offshore gambling sites that accept players from Rhode Island. Our US gambling laws section will provide more details on the overall status of legal online gambling in America. All of the sites we recommend here on legalbettingonline.com are licensed and very reputable. But one particular site rises above the competition which is why they are the largest and most respected. Bovada is a household name in the gambling industry. 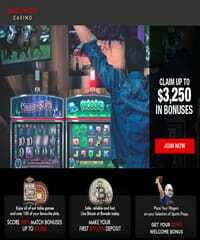 They are owned and operated by the Bodog brand, one of the oldest names in the industry and highly respected. Bovada actually took over Bodog's us operations and they cater exclusively to the US market. So why do players love Bovada? Below are a few reasons they are the best! The answer to this question is yes and no. State based online gambling sites are not permitted in the Ocean State, and would be considered illegal because they would be operating without being licensed by the state. We caution you to stay far away from any destination of this type. However, there are no laws in RI prohibiting players from participating in online gambling that is provided by an online casino that is licensed and subject to regulatory oversight from a respected governing jurisdiction located outside of the United States. 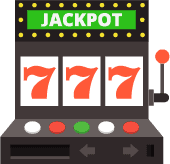 These types of online casinos are often referred to as offshore online casinos. It is imperative that players use due diligence in selecting the online casino at play at. Not all online casinos accepting US players are legitimately licensed or operate above board. We recommend that you rely on input form industry professionals that have reviewed and vetted online casinos accepting players from Rhode Island. The online casinos on this page are all approved by our team of analysts, and have been vetted for legitimacy and quality. When talking state licensed sportsbook gambling, Virginia does not offer one. however, the state recently legalized sports gambling in-person and hopes to launch efforts by 2020. However, if you want to bet on sports online or through your phone use licensed offshore sportsbooks which do not violate any state or federal laws. The online sportsbooks that accept USA players recommended in this guide are industry leaders, offer far more betting lines and wagering options than the typical Vegas based sportsbook, and utilize sophisticated security protocols to keep your identity and financial information protected. Is Online Poker Legal in RI? You won’t find poker games of any kind to be legal in Rhode Island. From live poker to home games and charitable gaming, poker is strictly prohibited. It is also not legal for anyone to own or operate an online gambling site that is based in Rhode Island. However, the state laws do not affect player access to online poker gaming at offshore destinations that are operating legally within in the industry. As long as players limit their poker gaming to those online poker rooms that are located outside of the US and that are legally offering their services to player around the world, then playing online poker is within the confines of the law. As most regions embrace state licensed online gambling, poker is the first to emerge. Until that time comes in Rhode Island, offshore online poker is a great alternative for players in Rhode Island. The poker sites that accept USA players listed here on this page are all legitimately licensed, hold legitimate compliance certifications, and are subject to strict regulatory oversight from a respected governing jurisdiction. They also offer a premium gaming experience. What Is The Legal Gambling Age in Rhode Island? Rhode Island’s minimum legal gambling age is actually the same across the board for all forms of regulated gambling in the state. Players must be at least 18 years old in order to legally participate in pari-mutuel wagering, charitable gambling, lottery games or casino gambling. The same is true for online gambling. Nearly every site we recommend in our guide allows players to join and play for real money at 18 years old and up. Is It Likely That Rhode Island Will Legalize State Licensed Online Gambling? Rhode Island seems to respond to public pressure when it comes to remaining competitive in the gambling industry, so that right there provides an air of possibility that they will get on board with the online gambling trend at some point. There are also rumors that they are in discussions already concerning an interstate agreement with Delaware related to an online betting initiative. As a small state, an interstate compact that provides a shared multi state customer base would be necessary for any real revenue benefits to exist for them. Parts of the state certainly demonstrate an open minded posture concerning state regulated gambling, and online betting may fall within that range of acceptance. The state has not been very open to poker up to this point, so it will be interesting to see if online poker is the first step for an online gambling platform should one emerge in the state. Will I Get Arrested For Gambling Online In Rhode Island? There are no provisions contained within Rhode Island state laws that prohibit residents or visitor from engaging in online gambling at a legally licensed and regulated destination located offshore. The state has not expressly legalized state licensed online gambling, but neither have they prohibited participating in legally sanctioned Internet gambling at online destinations that are legitimately licensed and regulated. There are no cases in Rhode Island in which an individual was arrested for engaging in legal online gambling. In fact, there are no cases in which an individual was arrested for participating in online gambling that was not legally sanctioned.